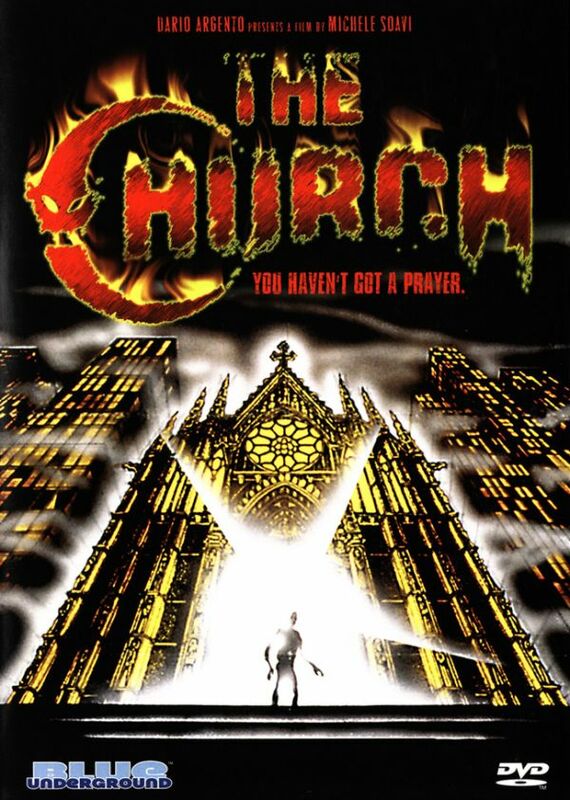 Rupert Pupkin Speaks: Guest List: Brian Kelley (BTSjunkie)'s FUN Horror Films ""
1) THE CHURCH (1989) -Michele Soavi’s DELLAMORTE DELLAMORE (aka CEMETERY MAN) is his most celebrated film. And with good reason, it’s his best. 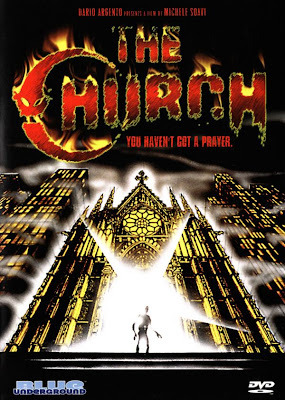 However, for balls-out insanity and a crash course in Soavi’s obsession with religious themes, one must turn to THE CHURCH. Technically starting life as a continuation of Lamberto Bava’s DEMONI series, Soavi definitely took things in a different direction. Impressive camera work, some truly chilling imagery, dazzling special effects and a young Asia Argento are all part of this endlessly entertaining film. 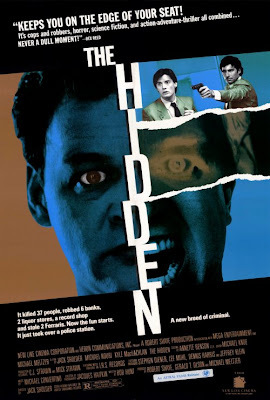 2) THE HIDDEN (1987) - Action. Sci-fi. Horror. The three best genres are combined in this story of a body-hopping alien life form hellbent on riches and power and the detectives chasing it down. If you enjoy the wanton elimination of innocent bystanders, this is your film. Violent, action-packed, funny and full of interesting characters, THE HIDDEN is decidedly B-grade but it wears such a label like a badge of honor. Did I mention Clu Gulager? 3) EATEN ALIVE (1977) - Let’s face it, Tobe Hooper has not had the storied career one would have expected given his second film is widely regarded as one of the best horror movies of all time. SPONTANEOUS COMBUSTION, anyone? Yet, his follow up to THE TEXAS CHAINSAW MASSACRE is often overlooked. Set in a dilapidated hotel in the middle of a swamp, it’s the story of Judd (Neville Brand), the unhinged proprietor of said hotel, redneck and sometimes killer. Fortunately, he has a large pet crocodile in his swamp to help get rid of bodies. It’s far less believable than TEXAS CHAINSAW MASSACRE but only just slightly less terrifying. 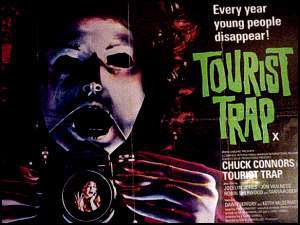 4) TOURIST TRAP (1979) -Perhaps it’s my phobia of any inanimate object with humanoid features (Stuart Gordon’s DOLLS almost had me at almost fainting levels of terror) but TOURIST TRAP gets under my skin every time I see it. The usual slasher setup (a group of 20-somethings break down leading to their being stalked and killed) gives way to a story with killers in plain view (they are - get this! – actual CHARACTERS) and a rather horrifying force of evil. You see, the run-down museum has at least one owner with telekinetic powers and he uses them to control the wax mannequins. It really breathed some life into the slasher genre which was already becoming quite stale as the decade came to a close. Then it was, sadly, mostly forgotten. 5) WAXWORK (1988) - This movie is a strange beast. 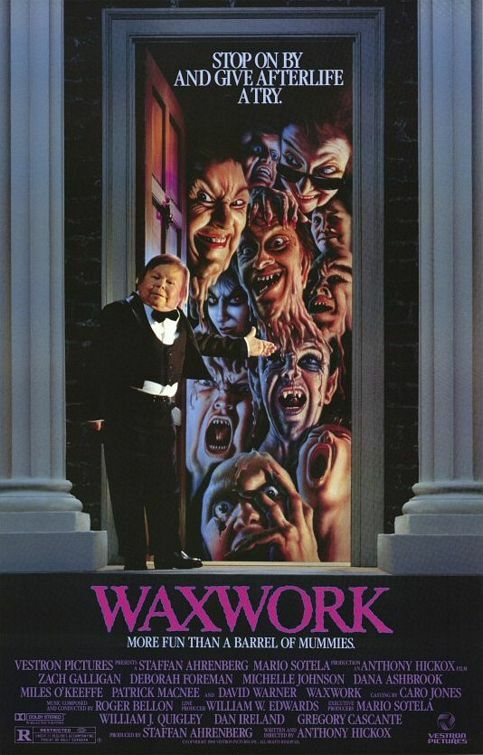 A not-quite-smooth blend of comedy(Zach Galligan’s rich-boy character intro is hilarious) and horror, there’s a point in WAXWORK where you may start to get bored wondering just where the hell this thing is going. Fortunately, about 3 minutes after that you realize this movie means serious business. It’s about the time Jonathan Rhys-Davies transforms and rips someone in half. 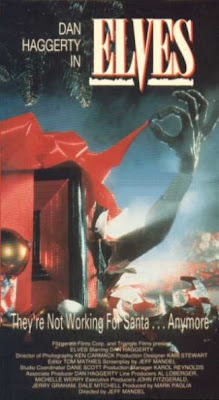 From there on, as a group of teens are transported one by one into various scenes in a waxwork museum and subsequently killed and made part of the display, the film keeps things moving quite quickly. It all culminates in a finale that will make any horror film fan proud. Copious creature and gore effects along with a healthy dose of comedy make this one of the most fun films too few have seen. 6) RAVENOUS (1999) - Robert Carlyle. Need I say more? I needn’t, but I will... Speaking of balancing horror and comedy, this cannibal film has one seriously dark comedy streak running throughout. This is the story of Capt. John Boyd (Guy Pearce), promoted to a new remote outpost under the leadership of Col. Hart (Jeffrey Jones). When a stranger named Colqhoun (Carlyle) wanders wounded into the camp telling a tale of cannibalism in nearby caves, the soldiers move out to investigate. Things go wrong. RAVENOUS is one of the most skillful balancing acts I’ve seen in a horror film. It gets every horror, comedy and character note 100% right. Add to that an incredible score from Michael Nyman and a handful of great performances from secondary characters played by Neal McDonough, Jeremy Davis and (!) David Arquette and you have a winner. 7) GINGER SNAPS 2: UNLEASHED (2004) - I think the reason why this movie is generally dismissed is the very reason I love it. It is in very few ways your typical sequel. Brigitte is alive and no win a rehab clinic, her needle marks mistaken for signs of a heroin addiction(she has to have steady injections of the wolfsbane potion to keep from turning). There she is being stalked by a male werewolf and the daughter (named Ghost, she is one of my favorite horror film characters ever) of a patient inthe hospital wing of the institution has endeared herself to Brigitte. Don’t worry, Katherine Isabelle returns as Ginger (and that’s all I’ll say aboutthat). As one watches, one would be right to assume the movie is extending thewerewolf metaphors from the first film. Where the first likened the werewolf curse to a woman’s coming-of-age, GINGER SNAPS 2: UNLEASHED is about theexploration of that new found sexuality. However, there’s something else going on here (which I will never spoil!) that elevates this film from just a werewolf film (a GOOD one, it has the best kill of the trilogy) to a surprising, dark fairytale. It’s that shift that I suppose alienates many fans of the first film, but it’s the element that makes this movie better than any sequel to GINGER SNAPS had a right to be. 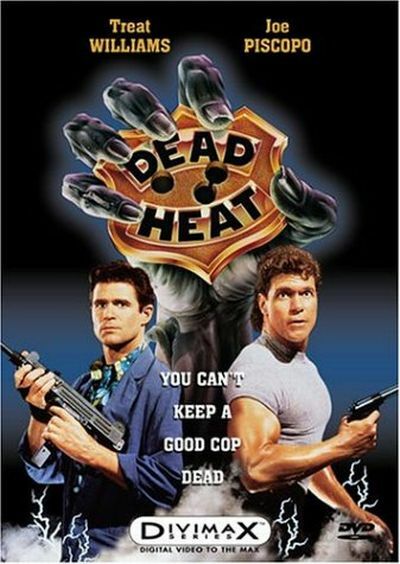 8) DEAD HEAT (1988) - The one thing that can make Joe Piscopo ceaselessly watchable is Treat Williams. The pair drive this film about a cop killed on duty who is brought back to life by a mysterious device. It’s mostly played for laughs (as much as one can laugh at Piscopo) and surprisingly most of the jokes hit. Once Detective Roger Mortis (Williams) is resurrected, he and partner Det. Doug Bigelow (Piscopo) look for the people responsible for the Roger’s death. There are some truly standout scenes (I recommend pairing the film with a Chinese food dish - you’ll see why) and more than enough violence and bullets. It’s a similar blend of elements found in THE HIDDEN but far less serious. 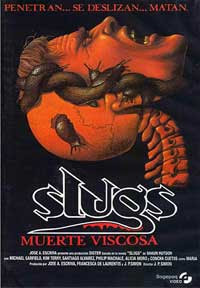 9) SLUGS: THE MOVIE (1988) - Juan Piquer Simón is not a good filmmaker. His POD PEOPLE is a MST3K favorite. And PIECES is cherished amongst bad-movie lovers. 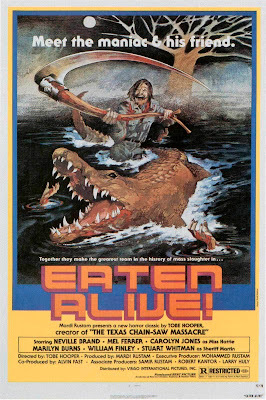 However, even those on the JPS bandwagon usually overlook his nature-run-amok film (and JAWS ripoff!) that, dare I say, is actually [accidentally] kinda... good. Don’t get me wrong, there’s several things that stick out as JPS-quality filmmaking. Yet impressive slug and slug-related gore effects, a few unexpectedly clever bits scattered throughout the script and even an awesome explosion bring the horror goods. This movie is nothing if not FUN. bring the horror goods. This movie is nothing if not FUN. 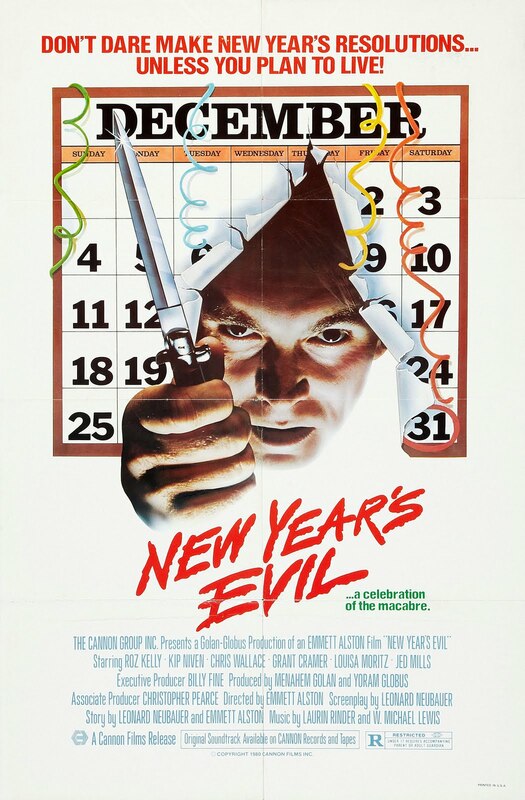 10) NEW YEAR’S EVIL (1980) - I have to admit even I as a lifelong horror fan had overlooked this movie until just this year when it was played as part of the Terror Tuesday series at the Alamo Drafthouse. I was blown away. A TV punk-rock dance DJ hostess New Years countdown lady receives a phone call while on air from a mouth-breather named “Eeevvvvviiilllllll” who threatens to kill someone when midnight strikes in each timezone. He makes good on his promise and the hotel at which the countdown event is being held goes into lock-down but the show must go on...It’s hard to put into words exactly what makes this movie so wonderful. I do know that it’s best viewed with a crowd. You’ll want to laugh (and you will laugh) at several moments (the killer’s voice, the dancing!) and the kills are tame to say the least. But there’s a madness that permeates every scene and its infectious. 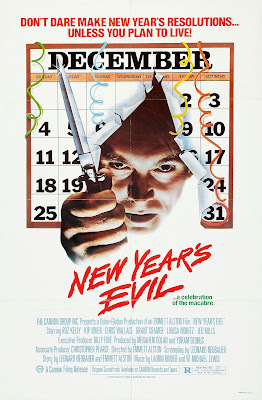 Everyone knows that 1980 gave us one of the best Christmas horror films (CHRISTMAS EVIL), but too few know about one of the best (and one of the few) New Year’s horror films! A few other off-the-wall suggestions for horror fiends: Micro-budget gore flick THE JANITOR (2003) is tremendous (and sick) fun. FRANKENFISH (2004) takes a few minutes to get to the good stuff, but when it does it is about as much fun as you can have with a mutated fish film. THE UNBORN II (1994) starts with a woman shooting a kid in the face and just gets better from there (the first is worth watching but notnecessary to enjoy the sequel). THE LIFT (1983) is about a killer elevator and it’s GOOD. ELVES (1989) is another Christmas horror about undead Nazi elves and Dan Haggerty. And while we’re on the subject of Christmas horror, I have to say, watching SANTA’S SLAY (2005) with a group of friends recently is the hardest I’ve laughed in a long time. RAVENOUS!!! Nice one. I totally forgot about that one while making my list for next week. 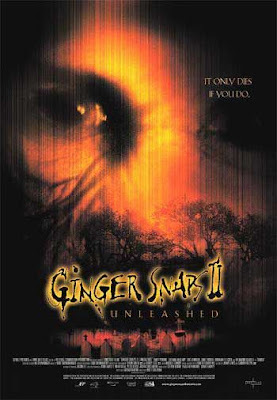 GINGER SNAPS 2 is another under-appreciated one, in my opinion. I actually like GINGER SNAPS BACK more than Part 2, but I seem to be in the minority with that film. Overall, great picks. TOURIST TRAP FTW! great list. 'tourist trap' is a masterpiece.